Private 201471 Frederick George Hayward, 2nd/4th Battalion, Royal Berkshire Regiment. 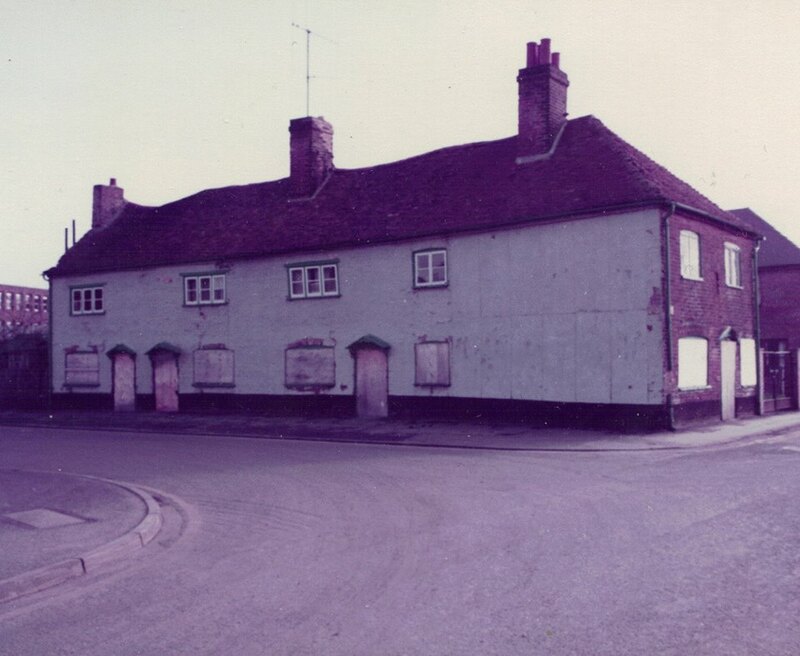 Cottages on the corner of Northcroft Lane and West Street (long gone). The Hayward's home was probably the cottage fronting on to Northcroft Lane. Frederick was born in Bow, London, in 1899 the son of William Thomas (Tom) Hayward and his wife Emma (née Allington). He had only one sibling, Bertha Minnie, born in 1896. Tom was a plasterer by trade who moved his family to Newbury while Frederick was still a child, settling at 5 Diamond Cottages by 1904. These cottages are listed in local directories as being in Northcroft Lane though, in reality they lay either side of an alley that linked Northcroft Lane to West Street. When widened by the demolition of the cottages on the west side the alley became a part of West Street (even before this many of the residents would enter a West Street address on their 1911 census returns). Tom was among them, giving his address as 5 Diamond Cottages, West Street, whereas a contemporary street directory listed him at 19 Northcroft Lane. Frederick’s education is a bit of a mystery; he probably attended West Street Infants’ School after which many of the school’s pupils would have attended St Nicolas School in Enborne Road to complete their education, however, Frederick does not appear on the school’s admission register. Nor does he appear on the Speenhamland School or Grammar School war memorials, so, presumably, he did not attend either. Odds are that he attended the British Boys School in Newtown Road - a school catering for the town's nonconformist communities. In the family’s 1911 census return his occupation was given by his father as ‘errand boy’ – a very typical role for a thirteen year old (school leaving age was twelve). However, this has been struck through and ‘scholar & part time in the evening’ added. Presumably this was the census enumerator indicating that he was still at school and the errand boy work was an after school activity. When war was declared in August 1914 Frederick was still only 16, too young to join the rush to volunteer without declaring he was older. He did not do this at that time, though it appears that he did add a year or two when he volunteered in mid-1915, aged 17. It was official policy not to send men to a theatre of war until they were 19 (though officers could go a year younger), yet Frederick was in France some months before his 19th birthday. He enlisted into the local infantry, the Royal Berkshire Regiment. When he went overseas it was to the regiment’s 2nd/4th Battalion. The was a ‘second line’ territorial unit created in 1914 around a cadre of pre-war territorials who elected not to sign the ‘Imperial Service Obligation’. The terms of service of territorials did not allow the War Office to send them overseas to fight – the ‘Obligation’ was signed by the majority of men indicating their willingness to serve abroad. The territorials’ terms of service were effectively changed by the Military Service Act in 1916 after which the War Office could dismiss them from the Territorials and instantly conscript them to units deploying to theatres of war – in preferance to this most recalcitrant Territorials signed the 'Obligation' so they could go to war with their mates rather than strangers. It is quite likely that Frederick was serving with the battalion when it crossed the Channel in May 1916 as part of the 184th Brigade in the 61st (2nd South Midland) Division. If so he received a rude awakening to life at the front during the Battle of Fromelles on 19/20 July 1916, when the 61st Division took part in the infamous action during which an over-eager Australian division suffered appallingly in an attack for which there was no need at all. Following Fromelles the battalion was not involved in another major battle for over a year. However, it was not a year without incident, manning the front line was always stressful, more so when a trench raid was planned. Infantry battalions took turns to man the front line, the reserve and support trenches with periods of rest and training in safe billets. The Battalion was relieved in the front line by the 2/4s Oxfords on the night of the 6th/7th & companies marched independently to Reserve Trenches in the WANCOURT-FUECHY line. 2 OR killed, 1 OR wounded, 1 OR shell-shock. Sadly Frederick was one of the two OR (other ranks) killed that day (along with Liverpudlian, Edgar Vernon). The threat from enemy shells was ever present in the trenches and Frederick and Edgar were almost certainly the victims of the German artillery. Frederick was buried in grave I. H. 17 at Tilloy British Cemetery, Tilloy-Les-Mofflaines. 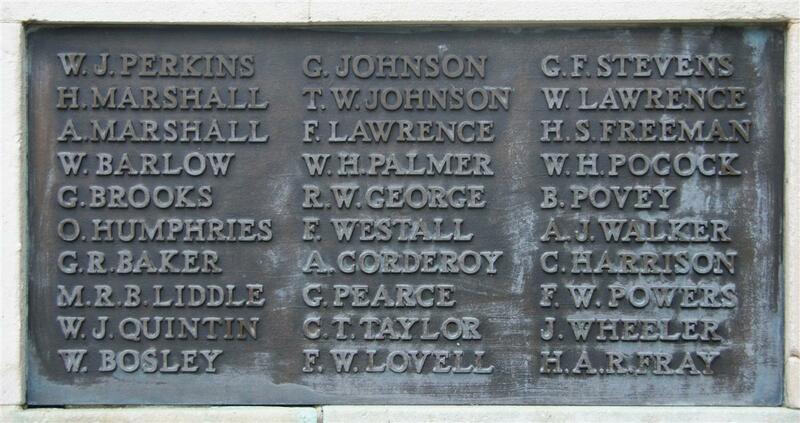 Locally Frederick is remembered on Tablet 10 of the Newbury Town War Memorial (as F Hayward) and on the parish memorial board and roll of honour in St Nicolas’ Church (as F G Hayward). It is likely that he is also be the F J Hayward remembered on the Congregational Church War Memorial (now in Newbury Town Hall).